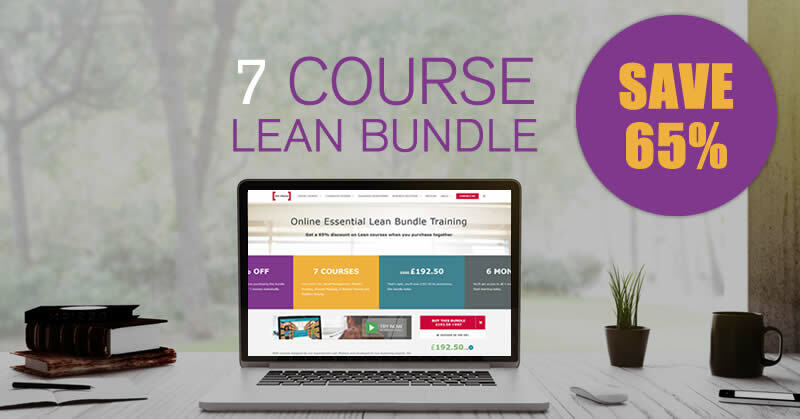 You might not already be aware, that every single member of staff at 100% Effective is trained to at least Lean Six Sigma Yellow Belt level. We strongly believe in the power and importance of continuous improvement, and try to give our staff the tools to improve too. 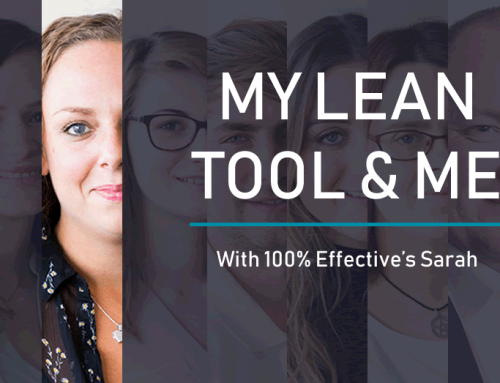 So far we’ve spoken to four members of the team about their favourite Lean tool – so let’s get number five out of the way and speak to Grace, our Administrator. 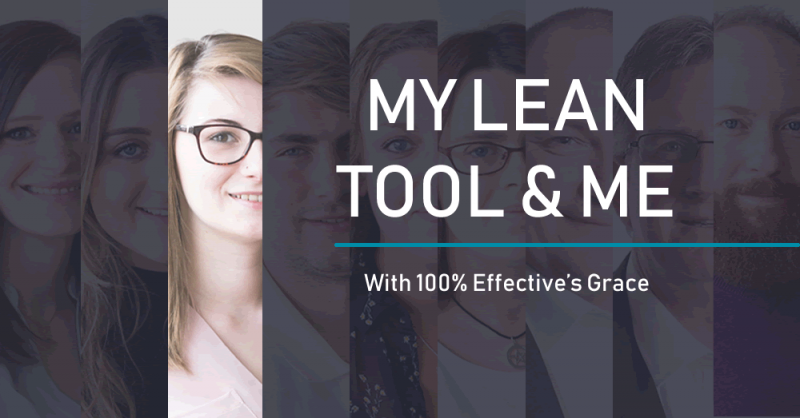 “As an administrator, I strive to carry out my tasks in the most efficient way possible so the teams I support (and ultimately our customers) are not kept waiting. So, ever since I learned about the 8 Wastes and how to identify them, it has been my favourite Lean tool. 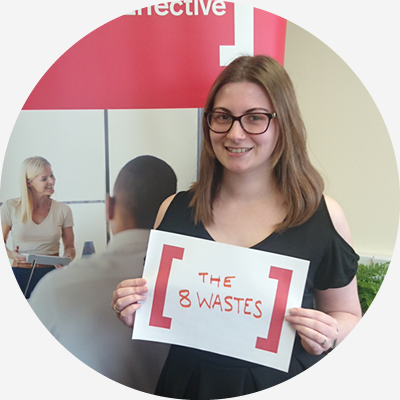 Having an awareness of the 8 Wastes has helped me to restructure the way I work to ensure everything is done well and on time. The biggest Waste for me was always Non-value added activities; when a colleague would ask me to pull together a report, for example, I would always try to go that extra mile and add something in that I thought might be useful. Though my intentions were good, this was actually a very wasteful habit! Had they asked for those extra pieces of information? No. So, not only had I wasted my own time, I had kept my colleague waiting by gathering extra info that wasn’t even needed. It was a difficult habit to break, but it really did make all the difference. It meant that I was able to get things done in good time and to a much better standard than before, as I wasn’t rushing to add extra things before the deadline. Of course, it’s always good to go above and beyond, and exceed expectations, but I now know that it’s best to ask yourself “Is this really necessary?” first. If not, it’s best to ditch the wasteful practice and focus your time and energy on the necessary stuff. Because the 8 Wastes are so general, they can be applied to any process, either in the workplace or at home. You could even apply them to something as simple as making a cup of tea! Let’s say you keep your kettle across the room from the sink; it’s only a few extra steps away, but walking back and forth just to fill and boil the kettle when making a cuppa can waste precious seconds (which really does add up when you’re a tea enthusiast like me!). The solution: keep the kettle on the same side of the room as the sink. Boom. Sorted. It’s a simple example, but this concept changed the way I work for the better. Want to find out about the 8 Wastes? We’ve got loads of great infographics here, here and here. Or why not click below to check out our 8 Wastes training course.